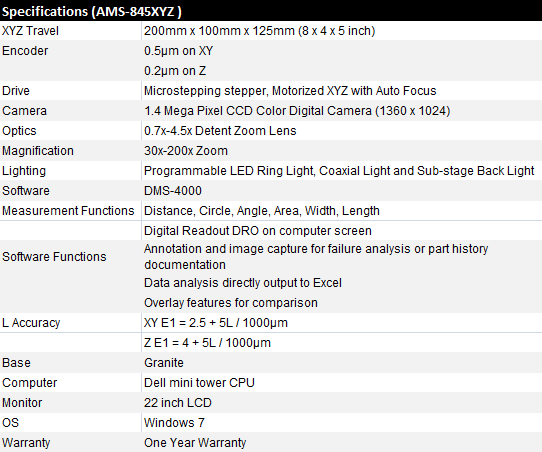 Automatic XYZ 3D motorized digital video measuring system AMS-845XYZ (30x-200x) & AMS-3000XYZ (30x-2,000x). Compact & Computer Controlled, Auto Focus Edge Detection, Fully Motorized and Programmable with joystick and touchscreen. 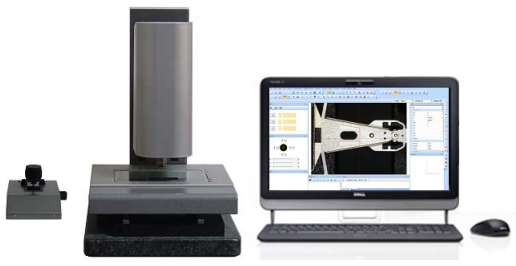 This state of art XYZ 3D vision measuring system delivers high precision measurement, high speed processing and reliable performance in small footprint.